This post is going to be a bit of a mish mash, as i want to mention and include a few things; it could get a little lengthy so you might want to go and make yourself a brew! Trust me, I'm currently armed with a good ole' cup of tea and a box of Milk Tray - my absolute favourite chocolates to receive at Christmas! If you read my last post, you'll know that i decided to go on a little hiatus til the New Year - it's barely been a week and i just couldn't keep away any longer. Within a day of saying i was taking a few days to myself to refresh i was already itching to get back to it but i can honestly say those few days i took were just what i needed. 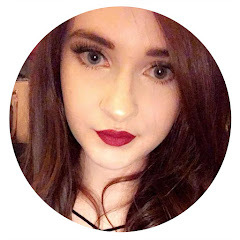 You may have also noticed that I've given my blog layout a bit of a refresh - i liked my last layout a lot but i just felt like it needed updating a bit. I bought this layout from Sweet Electric - it's super affordable and she has a selection of other layouts too - this isn't massively different to my last one and there are still a few more things i want to do but I'm happy with it - what do you think? There is something about New Year that makes me feel quite anxious and nervous; i don't know if it's just because its another reminder of what I've not achieved or whether the excitement of a whole New Year and a new chance to turn over a new leaf. To be honest, it still strikes me as bizarre that this is the last day of 2014 - i don't quite understand where this year as gone. 2014 was a massive year in terms of change for me - although, there was no massive events or achievements for me, i changed a lot as a person. I've been reading over the memories I've placed into my memory jar over the year and it's such a difference from the year before, both me and my life have changed a lot; my entire friendship group changed and whilst i still care for my old friends, i definitely feel like I've changed for the better (at least i hope its for the better). Not only have i met some amazing and wonderful people but I'm starting to feel a lot better about being comfortable just being me, in my own skin. If you told me at the start of the year that I'd be going on nights out once/twice a week and that sometimes I'd be going them on my own with a group of lads, I'd have laughed in your face. I've always been a bit of a hermit and nights out were far and few in between, I only ever went on those few nights out depending on if a certain friend was out - i dictated what i was doing around what she was doing. Now that is no criticism to her at all, that is all on me because in a way i guess i was too dependant on her and therefore wouldn't go on nights out or even other places if she wasn't - which is actually really sad. I don't want this to come across as me insulting the previous group because its definitely not that at all, they're lovely people but i guess i just didn't fit with them in the same way. Where now, things are so different - i don't feel the need to have that certain person out to go out and why that may not seem like a big thing to some people to me that is massive. This year also brought me two really amazing friends who i honestly couldn't imagine not being in my life; Gemma & Estelle. I've mentioned them a few times in various posts but they are truly two of the best friends a girl could ask for... anyone who knows me well, knows i struggle with trust a lot and that makes it difficult for me to be really comfortable with people and to really let my guard down but with these two that's not an issue and i honestly don't know what i did without them before. I've also met so many other really wonderful people that i couldn't imagine not knowing and they probably don't even realise it but my life has changed so much thanks to these people and I'm so grateful for that. This year also saw me: reach 800 followers on Blog Lovin'; pay off my over-draft, get contact lenses; be in a karaoke contest, have Lord Alan Sugar tweet about my blog, attend some amazing blog events, buy my first Nars product, buy my blog domain, learn that drunken me talks far to much and falls over a lot, get addicted to Snapchat, drink far too many caramel macchiatos, go to a Marvel Vs DC Halloween party, fall in love with the Lake District (again), partying til the early hours of the morning on Christmas Eve and tonight, i will be bringing in the New Year with an incredible bunch of people! 2014 you've been good, but let's make 2015 even better!